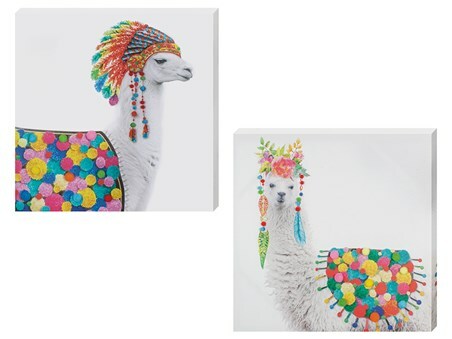 Turn your 2-dimensional wall space into a 3D masterpiece with this colourful Llama hanging in prime position. 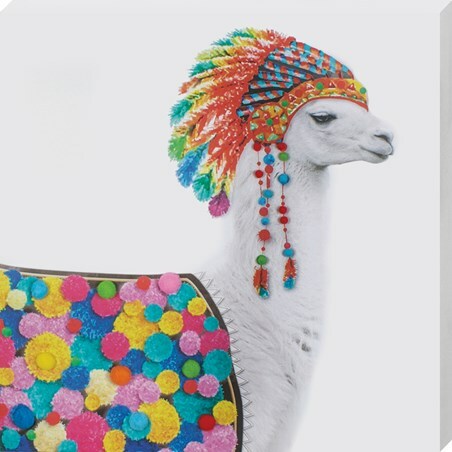 Stand in awe as this colourful Llama bursts from the canvas with it's bold dotted fluffy pom-pom's and mesmerising feathered headdress. 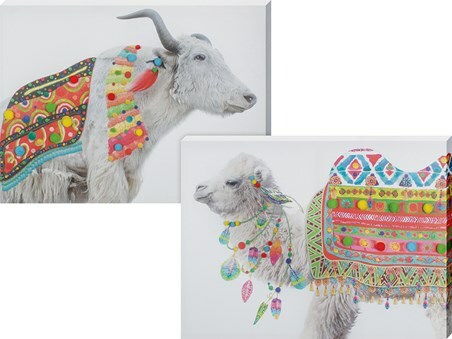 You can transform any room into a funky native haven while hanging this elegant and fun canvas in any blank space. 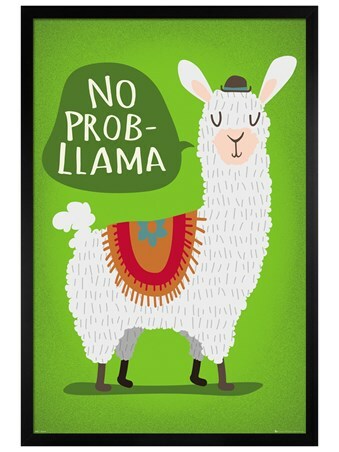 A wonderful addition to the home for anyone who is bonkers about Llamas. 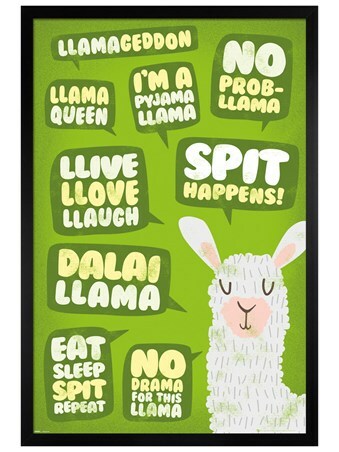 High quality, framed Looking Llovely, Funky Native Llama large canvas print with a bespoke frame by our custom framing service.